Gold Coast Auto; Sales, Rental & Car Parts. Welcome to Gold Coast auto hire and service. Gold Coast also is a vehicle owner and trading club, become a member and put up your vehicle for rent or for sale. Or simply contract us to advertise and sell your car, or other vehicle. To help people with limited means to get mobile, and to do with quick and easy. 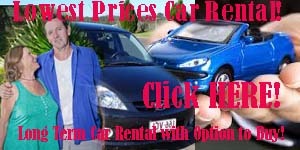 Help you to rent or purchase a good, safe and reliable motor vehicle. You can simply rent a vehicle for a month or longer. You can purchase a vehicle, straight cash private purchase a vehicle. Or, you can rent the vehicle and include an option to buy at a later date - should you choose to. GC Auto, also known as; BuyYourCar.com.au, is a part of the AADVANCED GROUP (Aadvanced Extrusion Australasia Pty Ltd) of companies. Our aim is to provide great reliable cars for the “Smaller Budgets” ideally having car’s available in the $3,000-$10,000 price range. Our online presence however, is to encourage and develop an online trading community, trading both cars and car parts in between the community members. You will therefore notice different owners to the cars displayed and listed here, and you will be dealing directly with the vehicle owner for agreement and settlement on the purchase. Both the cars in the process of being restored, and the complete cars, ready to precent to the market, will be displayed on the pages throughout this website. Another important aim of the site GCAuto.com.au, is to a market a wide range of high quality second-hand auto parts. Most parts displayed are our own surplus parts from internal dismantling, but also parts provided through our membership network. So please browse around our shopping pages, and come back often as we updates with new parts on a weekly basis. Even prices may be adjusted, sometimes price increases but we quite often reduced the prices when an item been hanging around the too long. Please feel free to call us at any time, just for a chat or to check availability on parts not listed here. Join us today, learn how to turn your costly motoring into a profitable business. As a member we can buy your first car for you, and show you the entire restoration process step by step. Featured Vehicle; Mazda 2, 2006. A Genki 5-door Hatch Automatic. Excellent budget vehicle, very good conditions with resent thorough service, Including all fluids, oils and filters. Tyres and brake pads has been replaced where needed. Very good looking with some panels repainted in the restoration process, an economical car to purchase - and very economical on fuel. Rent this Mazda 2 at $125.00 only per week, or purchase at a low $ 6,250.00 only! Come for a visit and test-drive by calling Olle NOW – 0402 099 248 - looking forward to hear from you soon. Mazda 2 Genki, 2006 Automatic, 5 door Hatch. For Full details and Rental Contracts. Option to Purchase your Rental Car. Takes you to the display and presentation of our complete vehicle list. Takes you to the display and presentation of our Hyundai Parts Shopping List. Buy Your Car dot com, Auction Shopping for cars, we show you how. Gold Coast WebWiz, Web Design and Advanced Internet Marketing. Mudgeeraba Hilltons - House Sharing and accommodation, Competitive rates. Connie's Massage & Health, Health Information, Brandon Bays and Don Tolman. Connie's Health Shop, Products and Education Shopping for a Healthy Living. Swedish Massage by Connie, select and purchase your massage here. Olle Persson Blogging, Financial Success, Mindset and personal growth. Connie and Olle Blogging, testing sight on WordPress. Mona and Mepstar Blog, Blogging on Wealth Creating Mindset. Thanks YOU, Welcome to GC Auto. Excellent and economical, run’s perfectly, well serviced and looked after. DRIVES LIKE A DREAM. The Accent, with Power Mirrors and Windows, is a great reliable car and only94,000 k’s on the clock. Yes definitely a great bargain HERE! This car need to sell, the sooner the better, so any reasonable offers will be considered. Come and check out this nice Family car, with all the trimmings such as Power Mirrors, and Windows, Rear Spoiler, and more..
For further details, Visit Cars Guide dot com. Hyundai Accent is listed in Red Book at $6,200.00 - Check data and details HERE! Come for a visit and test-drive by calling Monica NOW – 0412 733 579- Monica is looking forward to hear from you soon. Check this car and further details / images in Cars Guide - or in Gum Tree, CLICK HERE. Excellent little car, run’s perfectly, well serviced and looked after. DRIVES LIKE A DREAM..
Exempt from a small front dent, but it will get professionally repaired & painted before delivery. The Fiesta is a great reliable car and only 45,000 k’s on this one. Well serviced but not much records or history on the car. Yes definitely a great bargain HERE! This car need to sell, the sooner the better, so any reasonable offers will be considered..
Alternatively check out the Rent with and Option to buy alternative - cheapest rent and you save most of the money for yourself. Come and check out this nice shiny Silver Fiesta – European Ford Quality. The Fiesta is amazingly big inside, good loading capacity with the folding back seats. Come for a visit and test-drive by calling us NOW – 0402 099 248 looking forward to hear from you soon. Check this car and further details / images in Gumtree, CLICK HERE. Listed in Red Book at $9,600.00!! Check Data HERE!